In an age where you can video-call Aunty Ann in Melbourne from your mobile phone or Skype your mum in Costa Teguise, its hard to imagine ever losing touch with your family, much less not even knowing who some of them are. The same technology is also bringing long lost families together, and certainly there are skeletons falling out of closets all over the world as more and more people search for their families and ancestors online. Whether they just want to know where their real dad is, or if great great nanny really was a bigamist, people are turning to social media and in particular genealogy websites to piece together their family trees. Get ready to explore your family tree! Before using these sites its important that you have already put together all the known information about your families, or a lot of time will be wasted looking up those things that great Uncle Bert already knew. Once you are ready to search further online, the one commodity you need in abundance is time. It can be a long process for anyone but those with the names Smith, Jones and the like will obviously have more to search through, which is why it has become a favourite pass time for retirees. Exploring your roots can consume great chunks of your life, and be a fascinating adventure. This week, we will explore the different online genealogy websites available, and what they have to offer so that you can make a more informed choice. There are certainly many ways to start searching for your long lost uncle Herbert, some of them obvious and some hidden within other websites. 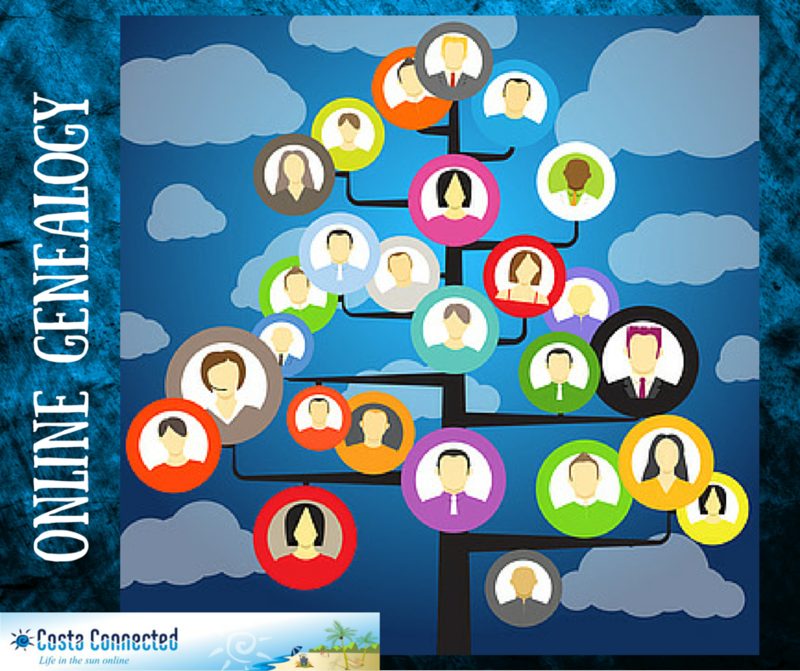 The first places that spring to mind are the larger genealogy websites such as ancestry.com and genereunited.com. They all offer similar services, and for a fee they will let you look up certain census records, birth/marriage/death records, military records and other recorded information they have on file. They also let you record your family tree easily, and for free. Through their forums and messaging services you connect with others doing the same in order to extend your own tree and also explore and connect with others. Both of these websites also offer a matching system, which basically alerts you to any information already on site that may be similar – so you may then decide if your cousin who always maintained she was a young forty is the same one who just popped up on your screen aged forty five! These sites offer varying packages, from basic to premuim features – quite simply the more you pay the more you can access. There is however a pay per view service available on Genesrunited.com that Ancestry.com do not offer, which supplies you with credits to look up your relatives rather than a tied in subscription. For those on a budget,or those that will be using the sites sporadically this may be the way to go. Another tip for saving money using these sites are their special offers. There are times throughout the year when both offer reduced subscriptions and sometimes free weekends. The free weekends are an ideal time for looking up bulk information and if you want to save money then it’s easy to collect all you need in these free periods. There are also lesser known websites such as freebmd.com and free.reg.com which will allow you look up records for free, although the records they have are very limited at this time. There are also no extra features to these sites, they are literally a massive online transcript of census and birth/death/marriage records. Not all the information they have has been transcribed as yet, so until they have finished this it will also limit your ability to look up certain dates. Having said this, I know several people who have used free sites and nothing else, and have gone back to the early 1800s. Recording the information you find on these sites would have to be done in the old fashioned way, ie., writing it down, as although they let you peek at the original documents by virtue of a scanned image, there isn’t a way of saving the information into a tree to look at later. Whilst having a hard copy of your family tree is always advisable, it would be quite painstaking to write it all down as you go along, without the help of a website making all the connections for you. But that’s how it was done before computers after all! One overlooked place that is completely free is Facebook.com. There are lots of genealogy groups on there you can join that will help you with your quest and if looking for a living family member I can think of nothing easier than posting a status to be shared in the right quarters. Most people on Facebook have friends from around the globe, there has to be somebody near to where you want to search. Even my mother, the technophobe who has me pick up her mobile phone messages for her, can navigate Facebook easily. One thing is certain with these websites, it is not possible to do much without paying the fees, which vary wildly from site to site, and although you can easily build a tree for nothing on such sites, every search you make will give you a tantalising view of what you ‘could’ find out, then sends you straight to the subscription pages. Next week we will be looking in detail how to build your family tree, and I will guide you through, step by step, using one of the popular paid for websites ancestry.com.